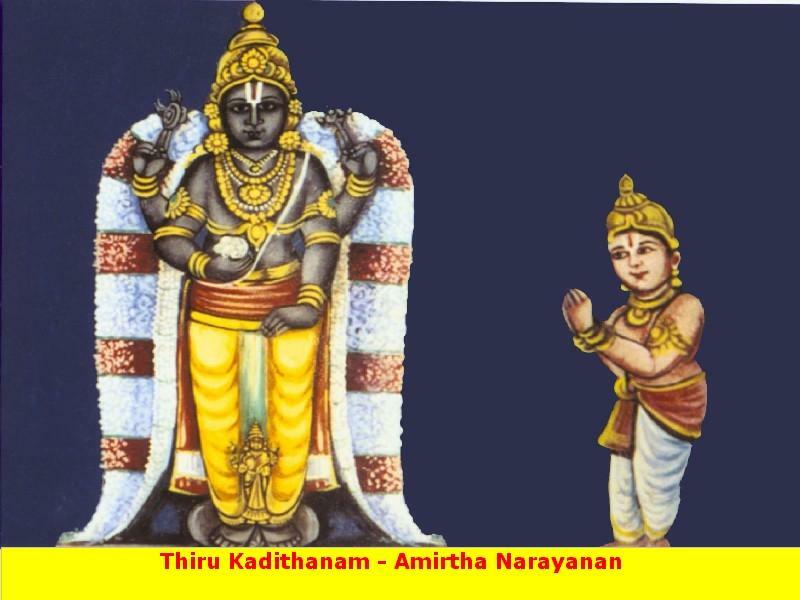 Located 4kms east of the Chenganancheri Railway Station (Kottayam-Kayankulam rail route) is the Arputha Narayanan Divya Desam in Thiru Kadithanam. This is one of the three important Kadigai Kshetrams in India, the other two being Thiru Kadigai in Sholingur and Thiru Kandam(Kadinagar) in Devapriya(North). Legend has it that those who visit the Arputha Narayana Perumal Koil in Changanachery and stay here for at least one Kadigai (24 minutes) will be liberated from all sins/curses. In a single sanctum sanctorum circular in shape, Lord Arputha Narayana is facing east and Lord Narasimha is facing west. 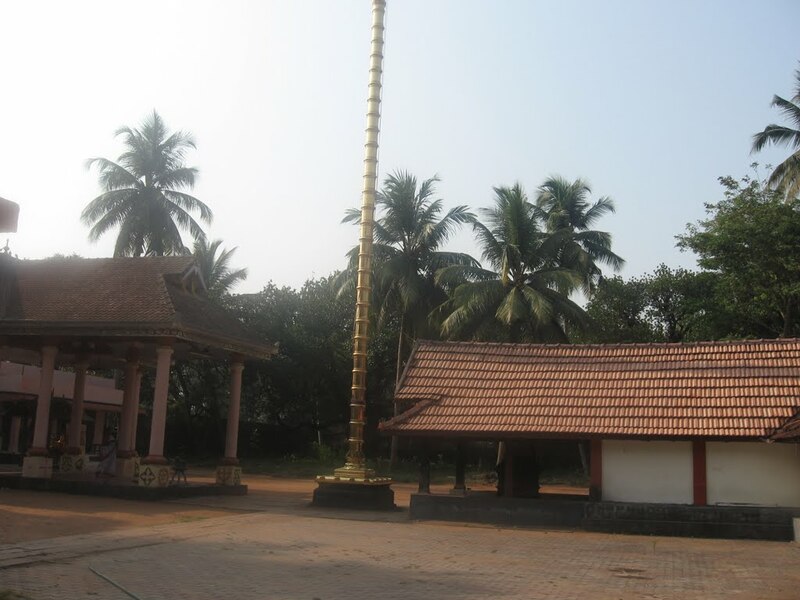 Therefore, there are two flag post individually for both Perumals. It is said Lord Narasimha was installed in later days. On the south side of the sanctum Lord Dakshinamurthy and Lord Vinayaka grace facing south. There are no doors for their shrines. Holes are provided on a wooden plank to see the deities and have the darshan. With a view to reduce the ferocity of Lord Narasimha, sweet porridge is offered as nivedhana. During pujas to Narasimha, Srimad Narayaneeyam, authored by great Vishnu-Guruvayurappan devotee Narayana Pattadri is recited in the temple. The Vimana (tower above the sanctum) is called Punniyakodi Vimana. 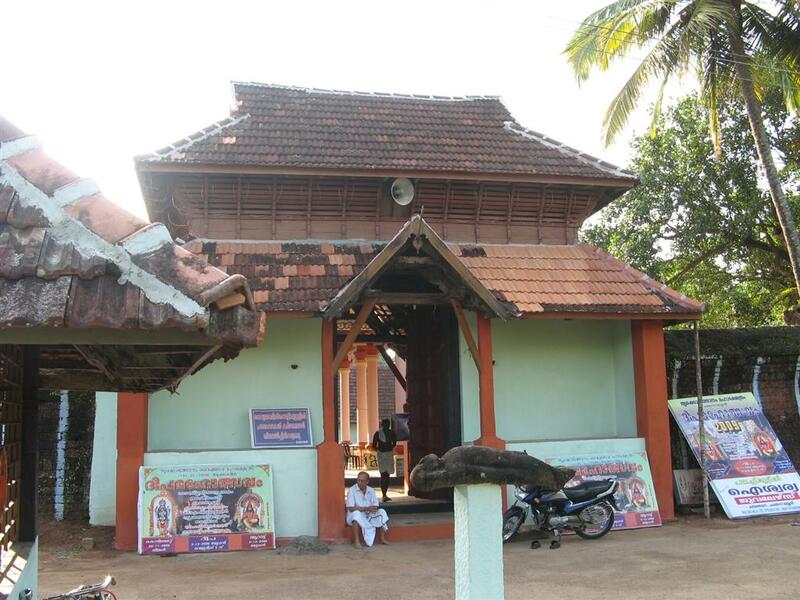 Rukmangathan and Devas had come to this temple to submit their prayers to Perumal facing east. The region was under the rule of one Rukmangathan. Flowers of many varieties grew in his garden. Devas picked these flowers and offered it to Perumal. He came to know that the flowers are stolen from the garden. He ordered that these thieves should be arrested and brought before him. His men, not knowing that the flower pickers were Devas, caught them and produced before the king. Knowing the truth, the king apologized to them and released them immediately. Yet, as they were arrested by humans, Devas lost the power of returning back to their place. When the king asked them what he could do to help them, they told him that if he parted with the benefits of his Ekadasi fasting of years, they would regain the power to go back. The king happily agreed, took them to the Perumal temple and donated the huge benefits he had accrued through years. All these happened within a fraction of second (kadigai), hence the name of the place Tirukadithanam. 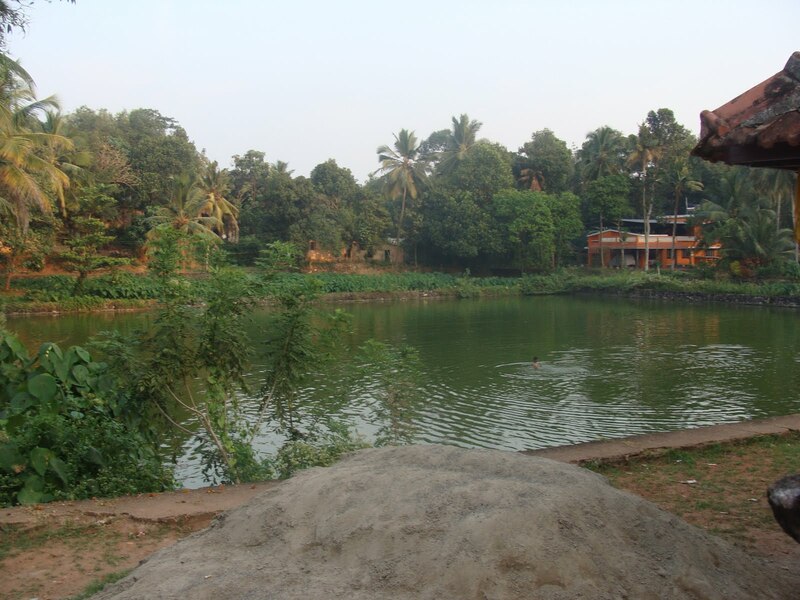 It is said that Sahadevan, the last brother of the Pandavas installed Perumal in this place. He was searching for an idol but could not succeed. Out of frustration, he decided to immolate himself. An idol of Lord Narayana appeared instantly before Sahadeva and saved from his self-sacrifice. Hence, the Lord is named Arputha Narayana (Arputha-miracle). 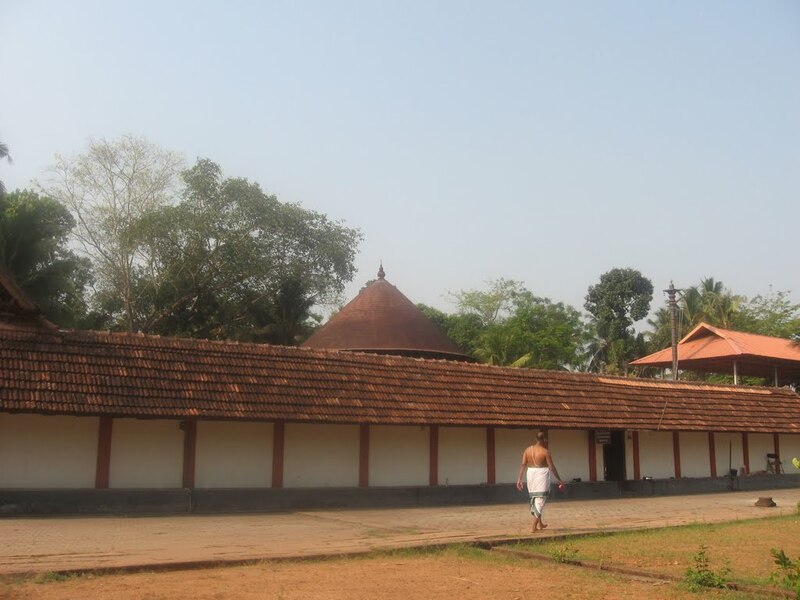 The temple is popularly known as Sahadevan Temple. 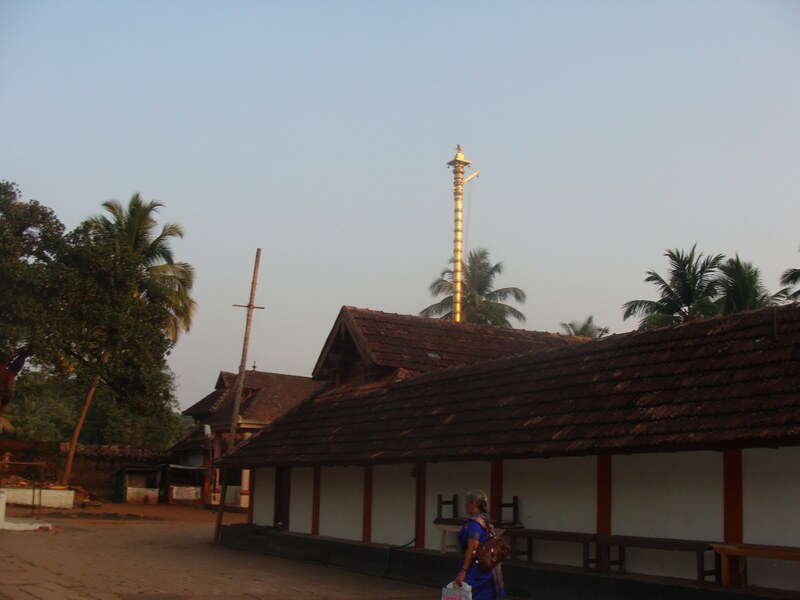 There are idols of Lords Sastha, Muruga and serpent deities around the prakara. It is said that the tall compound wall of the temple was built by Bhoodas described as colossal creatures with huge body and extraordinary strength with a threatening appearance. The word friend may not be correct English version as Bhoodas are generally shown as a helping group to Gods in our scriptures. There is a human body placed on a stone in front of the temple. The story goes that the king of the region came to the temple for darshan but found the doors closed. But the security received a bribe from the king and opened the doors. As a punishment, his body is placed on a stone, it is said. Festivals: Tirukarthikai in November-December is grandly celebrated for 10 days. Deeps (lamps) are lit on the ninth day. This event is called Sangetham. All the lights will be burning till the next day. Devotee crowd will be huge this day. The festival is attributed to the story that Lord Shiva was here in the form of a fire ball threatening to burn the whole region. Lord Vishnu and Lord Brahmma appealed to Lord Shiva to cool down. Responding to their prayer, Shiva reduced the form into into a small deep (lamp) and saved the region on a Tirukarthikai day. Other festivals celebrated in the temple are Gokhulashtami in Aavani month (August-September) and days related to Vishnu worship. 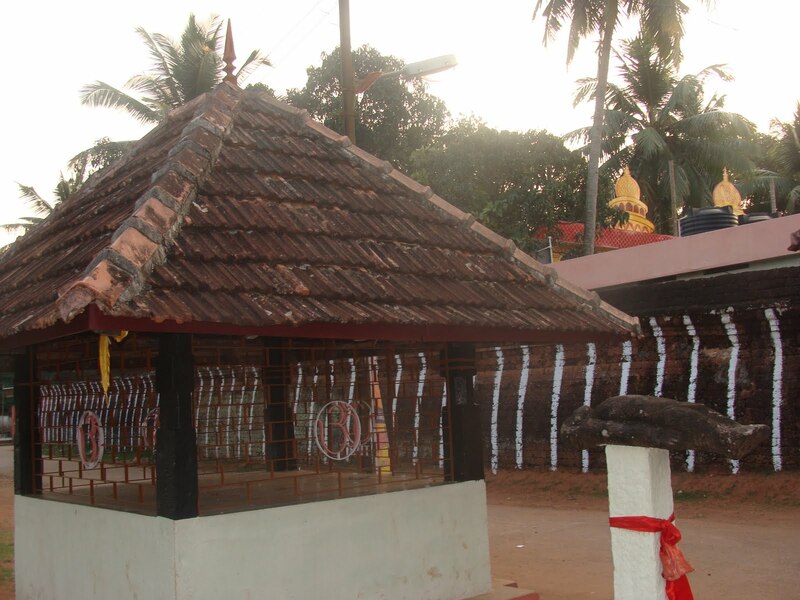 This sthalam is found next to Senganancheri, which is found near to Kottayam in Kerala. 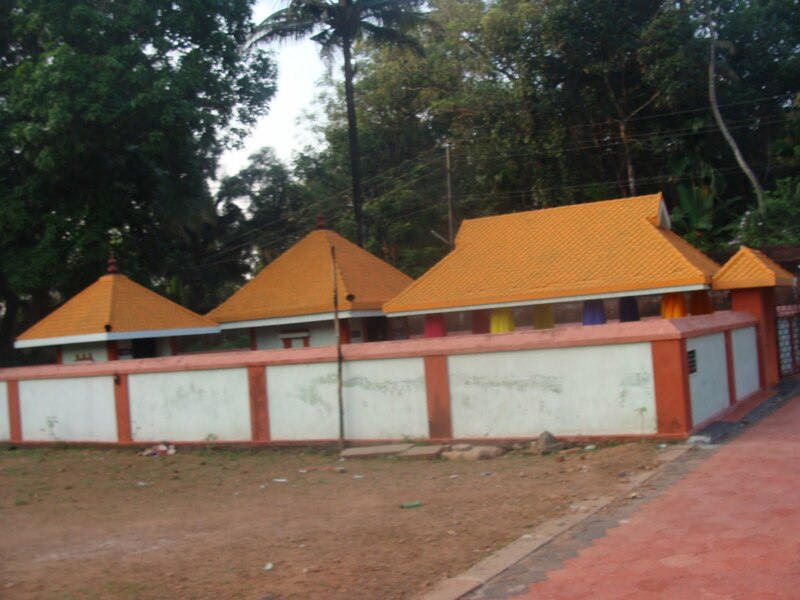 This temple can be reached by traveling from Thiruvalla to Kottayam getting down at Senganancheri. From there, by traveling around 2 miles in East, we can reach this location. 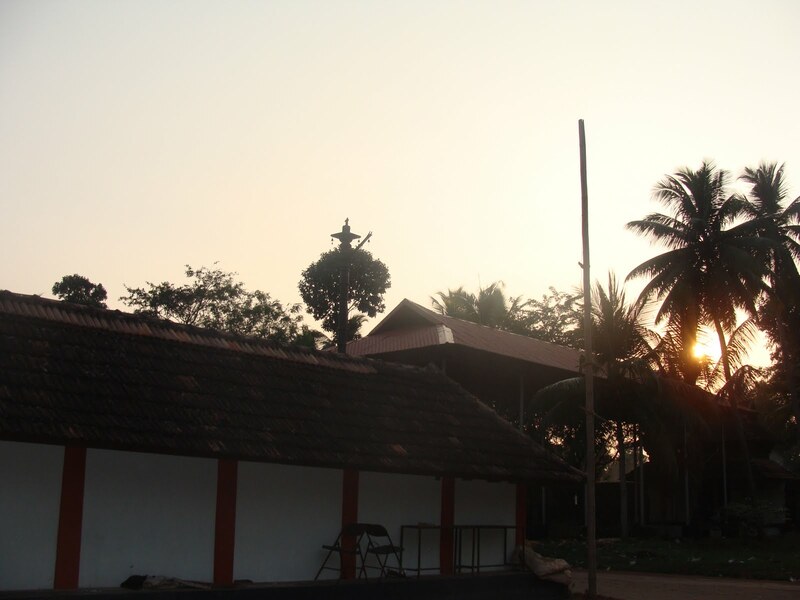 There is no staying facility, lodging facilities available only in nearby towns at Thiruvalla (or) Chenganancheri.